The LNG-fueled Aframax tanker Lomonosov Prospect has successfully completed its first commercial voyage along the Northern Sea Route (NSR) to deliver a cargo of oil from the Republic of Korea to Northern Europe. The voyage across the NSR took the Arc4 ice-class vessel 7.8 days to complete, during which the tanker covered a distance of 2,194 nautical miles, finishing on October 30. The vessel is now proceeding towards her destination port in Rotterdam. 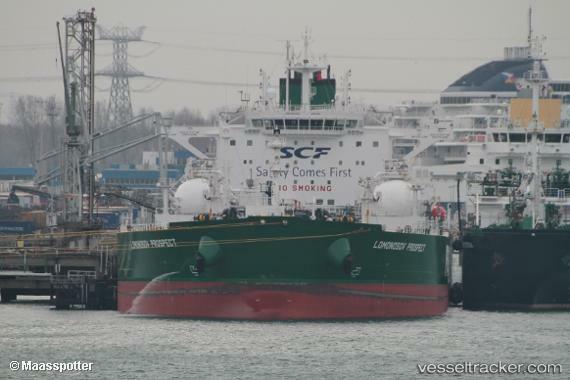 Lomonosov Prospect is second in a series of six LNG-fueled Aframax tankers for the Russian shipping company Sovcomflot (SCF). Earlier this month, Lomonosov Prospect’s sister vessel, Gagarin Prospect, delivered its first commercial cargo of crude oil from Primorsk, Russia to Rotterdam for Royal Dutch Shell.